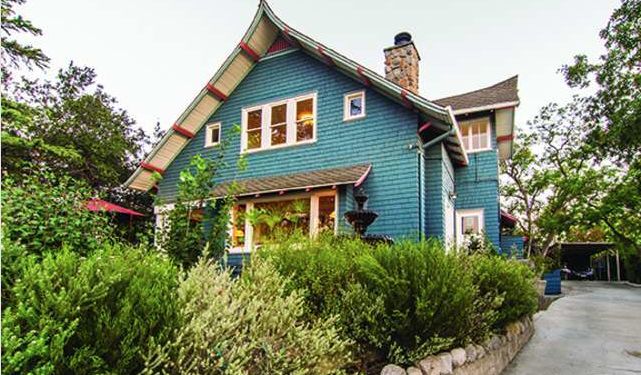 As long as you remain on top, it’s great playing ‘King of the Mountain.’ The home and guest house perched at 2325 Vestal Avenue allow you just such a luxury with Craftsman style, tons of outdoor space, and views all around. Consider it permanent victory. 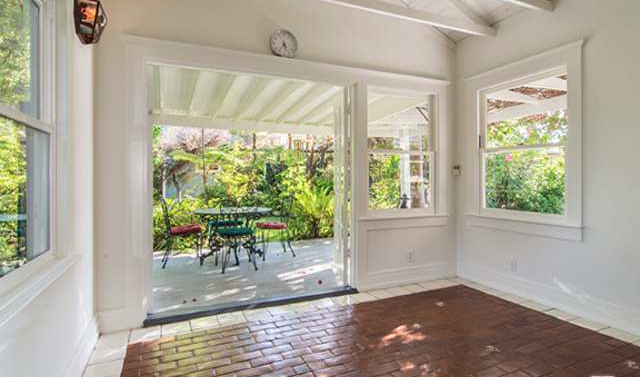 The main dwelling was built in 1907 by novelist and LA Times critic, Gordon Ray Young, and has been extensively updated with new electrical, plumbing, roof, air & heat, and even the pool & spa, but we’re getting ahead of ourselves. 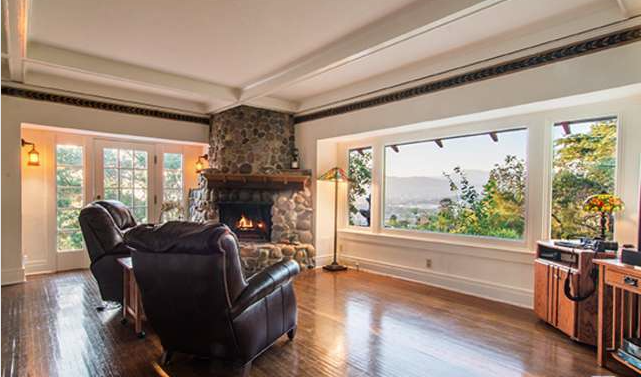 Coffered ceilings in the living room, rich wood flooring throughout many of the rooms (with less rich wood paneling), period window trimmings, and a gorgeous working stone fireplace harken back to the rich craftsmanship that helped define the turn of the century. 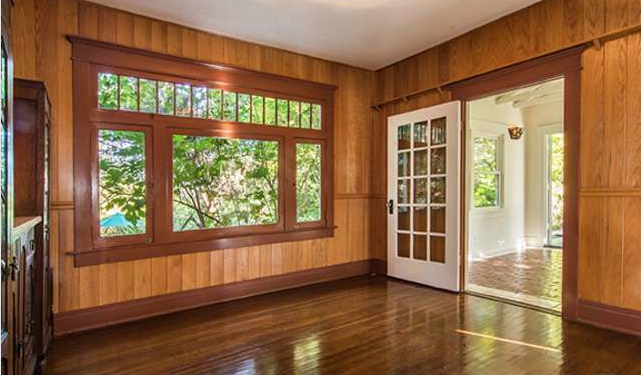 With 3 bedrooms and 2 baths it’s clear that much of the original detail is still intact, and looking fresh. With the whole estate sitting on 2/3rds of an acre, surrounded by mature fauna (including some fruit trees), and a 1 +1 guest house, the $1.395MM asking price starts making sense. 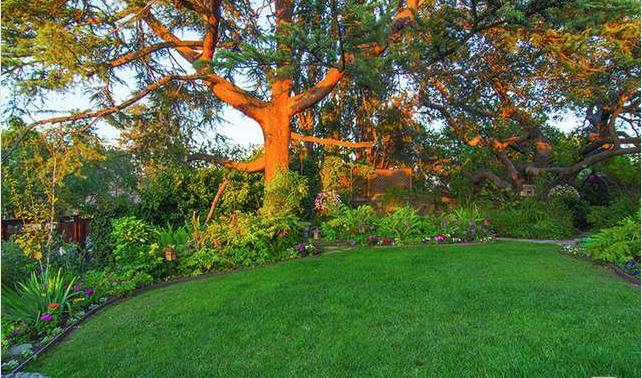 The home truly benefits from the surrounding greenery, and some smart “magic hour” photography. 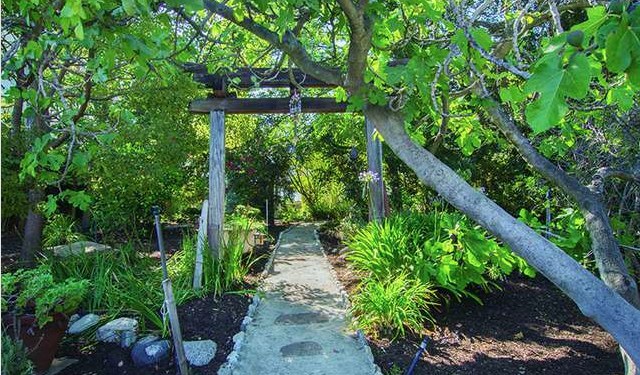 The lush yard and private path help create a sanctuary from urban living. 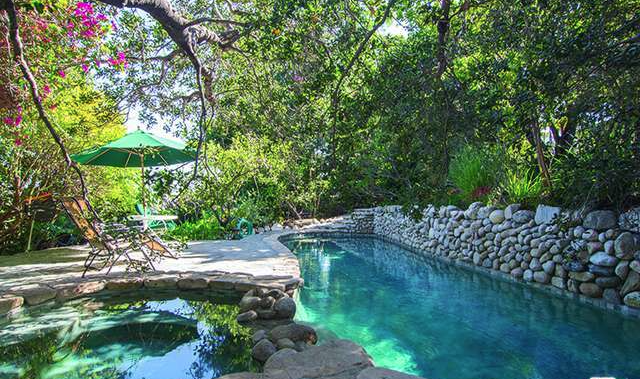 As mentioned earlier, you’ll also find a very private pool and spa. 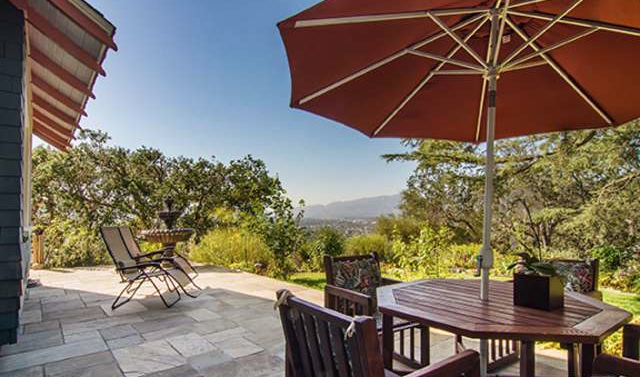 If that’s not enough for you, the large terrace offers amazing views and a fountain to boot. Not throwing parties here would be a travesty. 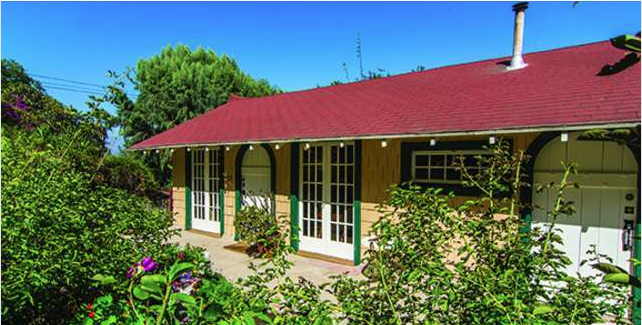 The guest home, built in 1926, is what I imagine a pool house looks like in the Free State of Bavaria. It definitely deserves a garden gnome. 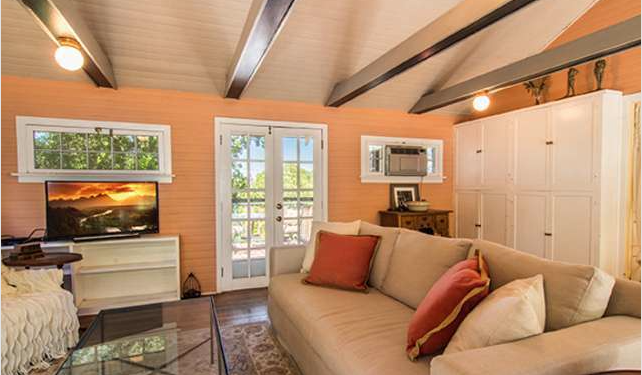 Inside you’ll find vaulted ceilings, exposed beams, built-ins, French doors and hardwood floors. 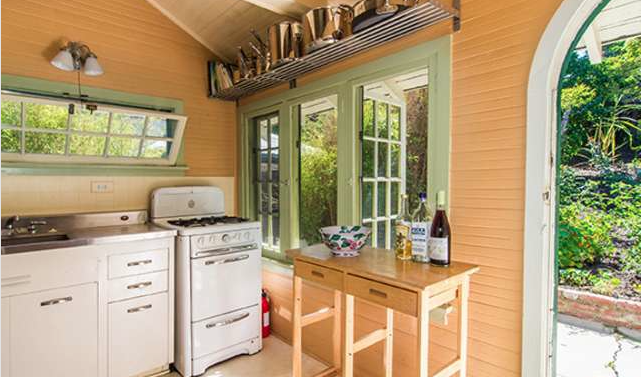 The old-fashioned style kitchen almost gives it a quaint, cabin feel. Bill Parks of Rodeo Realty, Inc. has the listing.